Metro Nashville is making great strides as it relates to minority business participation. 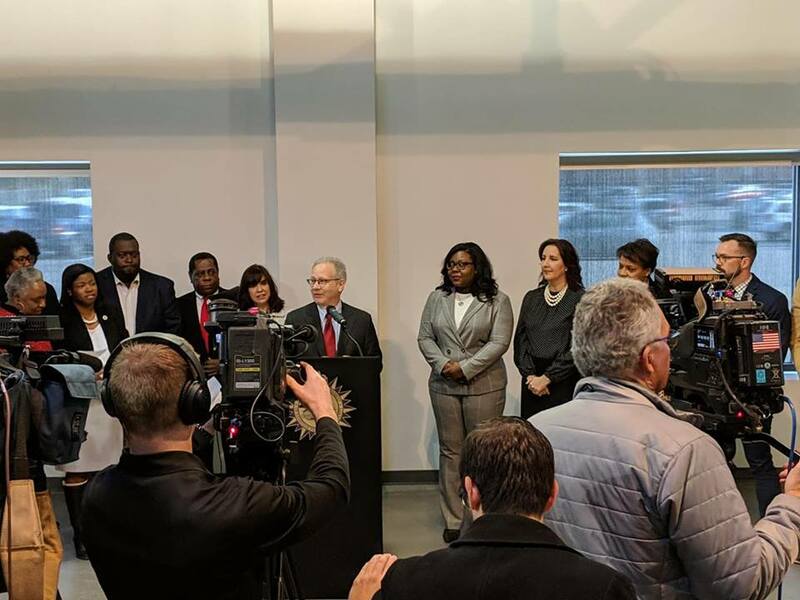 I was on hand on Wednesday, November 28, as Metro Nashville Mayor David Briley announced the first ever business equity package to benefit minority and women owned businesses. The proposed measures, if passed, represent huge wins for this group of business owners. After literal decades of conversation, outrage, activism, and policy shifts that failed to produce meaningful results for this group, the announcement marked the first time in Metro Nashville history where the mayor has brazenly set the course for equity and leveling the playing field for minorities and women. Our longtime client at DENOR, Marilyn Robinson, president of the Nashville Minority Business Center, has been advocating for such measures for decades. In the 1990s, while she served as president of the local chapter of the NAACP, it is she who galvanized business and community leaders to ask for the city’s first ever disparity study. At that time, the city didn’t have the political will to get it done. Leaders back then didn’t understand why such as study was necessary. Finally, after years of advocacy, the first disparity study was completed in 1999. Another was completed in 2004, and it was during this time, she began advocating for the measures announced today. She pushed for race and gender conscious subcontracting goals, but the political leaders at the time assured her a race and gender neutral approach would be sufficient. More than a decade later, it is clear that the approach recommended around 2003-2004 did not produce the results necessary to ensure parity in the public marketplace. In 2015, Marilyn took up the mantle again. This time, she focused her efforts on state agencies. For the past three years, we’ve partnered with the Center to review national best practices – traveling to Seattle to learn from their public administrators, speaking with experts on public contracting across the country – bringing in experts from Seattle, Houston, Baltimore, Washington, D.C., New York City, and Orlando, and looking for the best contracting solutions to present to the State of Tennessee. This year, we partnered with the Center to launch the #ContractingforEquity campaign, hosted a Day on the Hill for business owners in February, and got state Rep. Larry Miller to sponsor legislation to amend state law to ensure more minority business owners received an equitable distribution of public work. The legislation was stalled due to a large fiscal note – meaning the legislature wouldn’t touch it, fearing it would be too expensive. Mayor Briley’s remarks came during the middle of the 36th Annual Minority Enterprise Development Week conference. The theme? Contracting for Equity: Leveling the Playing Field for Minority Businesses. We produce the conference on behalf of the Center. His timely and relevant statement was super strong and crystal clear: these contracting disparities will not occur on his watch. Period. The pending legislation would formally establish the Equal Business Opportunity Program and require Metro Nashville to – among other things – implement race and gender conscious subcontracting goals, based on market availability, for all public contracts. This is a significant departure from the current ordinance, which allows for a race and gender neutral subcontracting program. Councilmember Tanaka Vercher, along with Councilmembers Sharon Hurt and Scott Davis, sponsored the measure. Council will hear the legislation in December. A vote on the matter is not expected until January 2019. Mayor Briley also announced the Small Business Reserve Program. This program allows Metro-Nashville to unbundle select public contracts to allow small businesses to compete for contracts on a tiered basis. Under the Small Business Reserve Program, small businesses – regardless of the owner’s race or gender – will compete for select projects based on size, scope, and capacity. Kudos to Metro Nashville for taking this huge step!